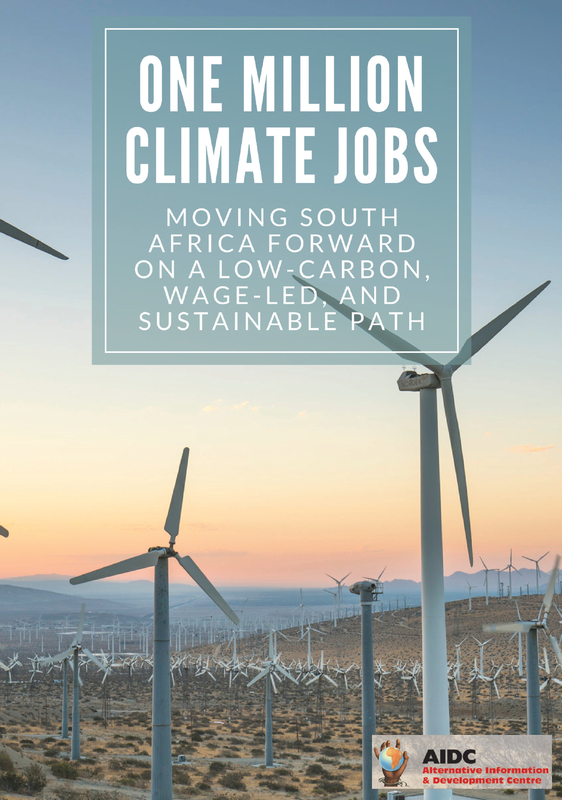 Coal mining and its impact on the environment and people´s health is not a sole South African issue. Huge multinational corporations mine in various countries and often without adhering to the environmental standards. And they get away with it. It is time to stop corporate impunity. Read this report about one woman from Columbia fighting against a multinational coal giant. ‘My fight is for the health of my son, Moises, against the contamination of the environment in La Guajira,’ says Luz Angela Uriana Epiayu of the Wayuu indigenous nation. Luz Angela came from Colombia to London for a week of events around the BHP Billiton AGM in October at the invitation of the London Mining Network. Every time Luz Angela spoke about her family’s plight, she cried. She is not a slick public speaker, nor trained campaigner, but a mother fighting for the survival of her family and her tribe. Meeting her had a profound impact on me: she has passed on her tears and the determination that we must use everything we have to fight this. Luz Angela is travelling with a German lawyer, who tells us the stark statistics of the situation for the people living next to the opencast mine. Cerrejón, owned by BHP Billiton, Glencore and Anglo American, is Colombia’s biggest coal producer. In 2015 it produced 33.4 million tonnes of coal, most of which was destined for Europe. 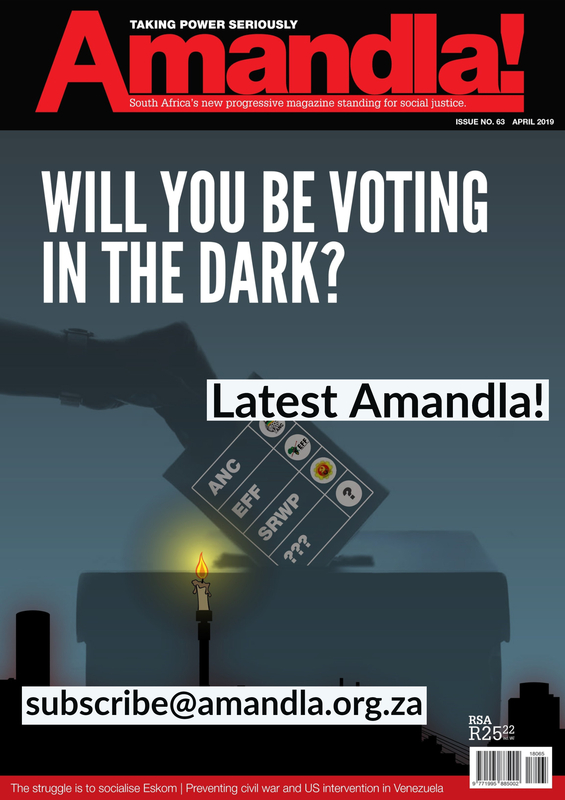 The mine keeps on growing: of the 690 square kilometres permitted to be mined there, 90 have been exploited already. When Luz Angela made her complaint against Cerrejón for its impact on her son’s health, the company tried to buy her off. They said they would pay for his treatment and give her a job in the mine, on the condition that she dropped her case against them. She says should could not accept this as the pollution needs to stop for the sake of her whole tribe. Luz Angela won her court cases, but no action has been taken. Ideally she’d have the whole mine closed, but she thinks that this won’t happen and so is trying to force Cerrejón to reduce the pollution and the impact on her reservation. 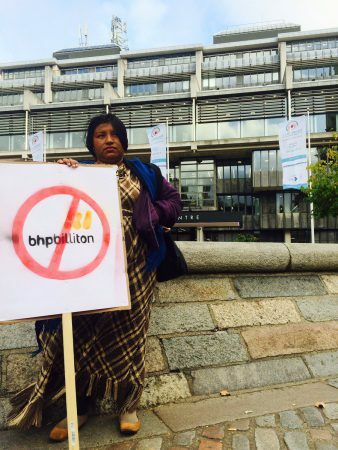 She came to the belly of the beast in London and spoke at the BHP Billiton AGM. The experience was not positive. There have been reports of children starving because of the water shortage. As ever, the truth seems fraught with competing issues. Luz Angela tells the sad tale of one of her family members, a girl of just eight months who went to hospital with breathing difficulties. ‘No puedo mas – I can’t cope with more,’ says Luz Angela. ‘There are many consequences of this. There are other children and adults who have respiratory illness and problems. Two months ago an eight-month-old baby died, she was in my family. Doctors said there was nothing wrong. This is indicative of the way that Cerrejón buys out doctors. Although the Cerrejón mine opened in 1983, there has never been an independent investigation into its health impacts on the surrounding population. ‘They have a tendency to change the clinical history of why people die. The girl I referred to died of respiratory problems but they wrote on her records that she died of malnutrition even though her weight was fine,’ Luz Angela explains. Cerrejón claims that it adheres to the standards set by the Colombian state. This might be true, but the Colombian authorities allow sulphur oxides of 250 micrograms per cubic metre, many times the 20 micrograms maximum recommended by the World Health Organisation. During Luz Angela’s visit she also attended a protest organised by Biofuelwatch at the Department for Business, Energy and Industrial Strategy, demanding that the UK government stop subsidising Drax power station to the tune of £1.6 million per day. I spoke about her community at the demonstration at Drax a week after she left, in an attempt to ensure that her story is listened to and acted on by people here. Meeting her has made me determined to take her humanity into our campaigning against the companies that profit from the coal taken from the earth that was the home of her people. Anne Harris campaigns with the Coal Action Network, which supports the communities fighting against the mines that supply the UK’s remaining coal-fired power stations.